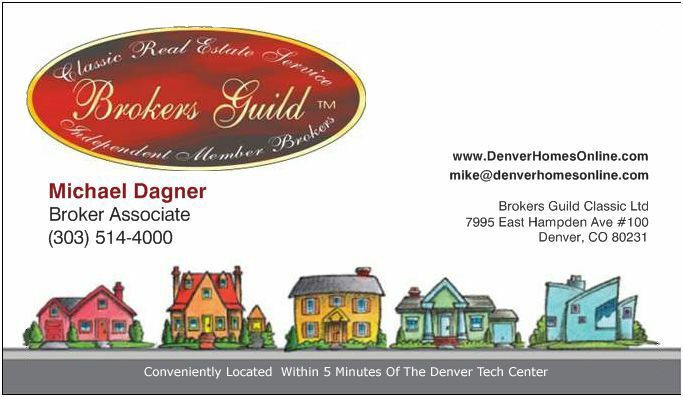 I'm Michael Dagner, a real estate professional in Denver Colorado. Let me serve your Denver area real estate needs with the best service possible. Having lived in many Denver-Area counties for over 45 years (Denver, Boulder, Arapahoe, Jefferson, and Douglas), I am delighted to familiarize you with the many great communities all around the Denver area. Decades of selling Denver Homes has allowed me to serve a wide range of clients. From nervous first-time homebuyers, to military and corporate relocatees, to everyday couples and families seeking their ‘perfect' move-up and exclusive residences. You'll be delighted to find the perfect home, in just the right location. You'll appreciate my strong personal communication skills to help ensure your complete satisfaction and success. Hundreds of my home buying clients have benefited from my extensive knowledge of Denver's 'new home' market, too. If you're looking to find a beautiful new home in virtually any of Denver's new neighborhoods, we'll make those dreams come true. Our first-hand experience of all the surrounding new home communities will provide you with resources and knowledge that can't be found elsewhere. I've even had the pleasure of building new homes for Denver's annual Parade of Homes, and will anxiously show you the top new home locations throughout the city! Take a moment to read my Blog on facebook. Thanks! I know Denver real estate - up, down, inside-out! I have SOLD MANY PROPERTIES and have the seasoned experience to make your transaction most successful. My team will market your property using the most advanced tools and technology available. I skillfully negotiate on your behalf. We manage every detail of the transaction (many other agents don't or won't). We have created various systems to communicate with you frequently. We ascribe to the Realtor Code of Ethics. Many home sellers and buyers have hired us, and I look forward to helping you too. Some of my clients have repeatedly bought and sold properties with my services, including homes which have been on the market with other realtors. Certified In: Financing, Contracts, Real Estate Law, Foreclosures, Mediation, Bankruptcy, New Home Construction, Architecture, Investment Analysis, Short Sales, Client Risk Reduction, Ethics, Appraisals, Title Issues, Water Rights, Real Estate Tax, Financial Analysis, Tax Deferred Exchanges, Americans With Disabilities Act Compliance (ADA), Property Renovations, Real Estate Settlement And Procedures (RESPA), Tenant Retention and Section 8, Loan Fraud, Credit Restoration, Investment Real Estate, and more. I have four office locations throughout the Denver Metro Area. North, Southeast, and Southwest. Here's a map with address locations. Here's my V-card. Let's visit soon! Call Mike at (303) 514-4000.